The first thing that strikes out about this book is the fact that it is written by two sisters and is about two sisters, but in an era long gone. 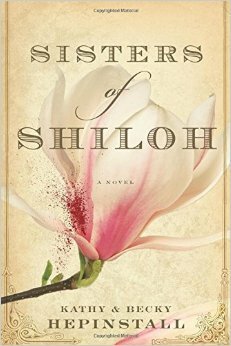 Set during the bloody civil war in America, when brother fought brother, Sisters of Shiloh is a tale of two sisters who joined the civil war to fight alongside, yet for reasons contrary. With a bond so strong, Libby and Josephine were inseparable, till Arden moved in next door and the orchard became Libby and Arden’s shared space. The war takes Arden away and Libby takes it upon herself to avenge her husband’s death by killing 21 Yankees, one for each year that Arden lived. Josephine follows her sister like a shadow to protect Libby from the enemies’ bullet and from her own self. Thus begins the story, of how the sisters fool the army and enlist as men. The research is thorough and transports the reader back into time when the Confederates and the Unionists clashed in one of the bloodiest eras in American history. The battle scenes, the soldiers, the misery of the troops and the disillusionment of the war is described painstakingly. A lot has been written about the war, but the Hepinstall sisters paint a narrative that highlights not only the choices made, the burdens borne or the despair felt, but also the love that shines through, the sacrifices made for that love and the hope that keeps it alive. While Libby holds on to Arden’s ghost, Josephine finds love surrounded by death and destruction. An interesting read if you are looking for a lazy weekend read. While the story moves fast and intrigues the reader, it lacks a certain depth, which makes the reader get fully involved in the events that unfold. 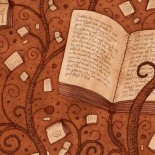 But read on, as it’s the end that surprises us all. This entry was posted on March 25, 2015 by artikabakshi in Book Reviews, Historical and tagged American civil war, Kathy Hepinstall and Becky Hepinstall Hilliker, sisters of shiloh.